The TurboPower™ 15 will charge your device exceptionally fast and keep you going all day. 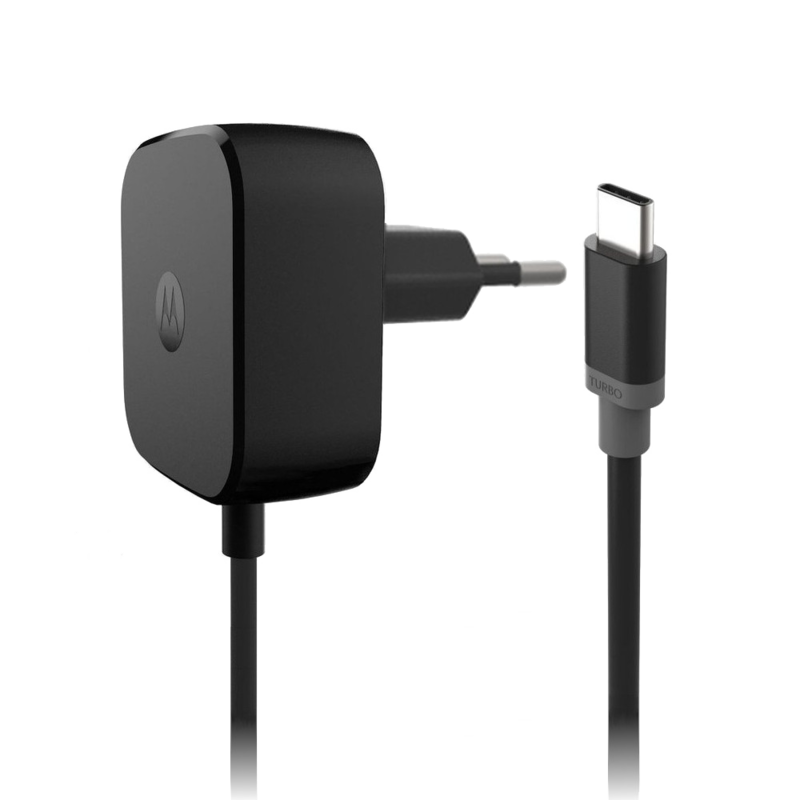 It's compatible with USB Type-C (USB-C) enabled smartphones and tablets, including the Moto Z family of phones. * Not all devices will charge at the same rate. Some devices may not be able to utilize the full 15 W.
Is the cable attached to the charger? Yes. The 1.5-meter USB type-C cable is permanently connected to the charger.